It’s that time of year again — time for the bi-annual photographer’s train, the steam-powered joy of all shutterbugs. 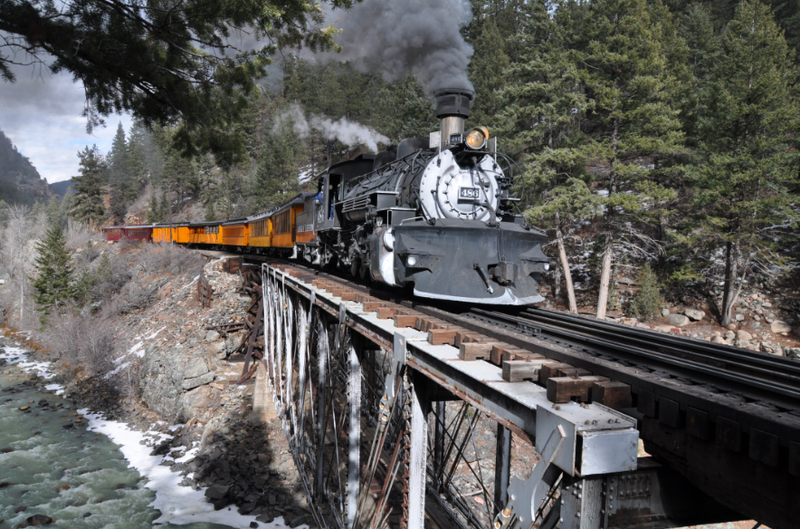 Twice a year, in the fall and again in winter, the Durango & Silverton Narrow Gauge Railroad offers photographers the chance to shoot the historic train as it chugs through the picturesque countryside. The Winter Photographer’s Train is Sunday, Feb. 15. The Durango train departs from the downtown Durango depot at 8 a.m. and returns at 5:30 p.m. Passengers will have the chance to get off the train at several stops in the San Juan Forest and Animas Valley to photograph or film the train as it does a run-by. The train backs up and then “runs by” the line of photographers to give everyone the perfect photo-op. (Don’t worry; the conductor comes back for everyone.) For this trip, the Durango train plans to do at least six run-bys between Durango and Cascade Canyon. The photographers’ train is a daylong affair that will involve being outdoors and trekking around in deep snow, so organizers ask passengers to dress appropriately and plan accordingly (warm boots, hats, gloves, sunscreen, etc.). Fare for the 2015 Winter Photo Train includes a morning pastry, a boxed lunch, an afternoon dessert, a souvenir mug to fill from the Concession Car throughout the day (non-alcoholic beverages only) and a souvenir time-table with information on the train equipment. But the rest — photo gear, warm clothing, the works — is up to you. Photographer’s can also buy another ticket to participate in a nighttime photo shoot at the Durango & Silverton train yard to shoot photos of a locomotive and tender. The event is limited to 25 people and usually sells out.it of a locomotive and tender. You can book online or call 970-247-2733 or 1-888-872-4607 for reservations. While you’re at it, book your room at the Durango Quality Inn. We’re only about a mile from the downtown depot, and you’ll be well rested to get that perfect shot!